Such conveniences make life online a touch nicer and more human-feeling. They also help marketers track your online activity and enable advertisers to target you with astonishing precision. 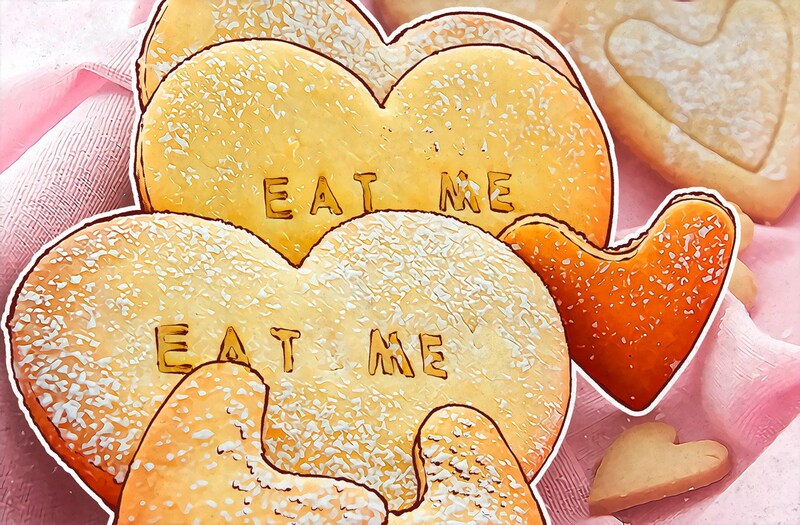 So: Cookies make life a little bit nicer, but they’re not exactly good for you. And although the term Web cookie didn’t directly derive from the delicious pastries, the analogy holds on any number of levels. How can you manage Web cookies for the best mix of convenience and privacy? Start with the simplest distinction: first-party versus third-party cookies. Essentially, a first-party cookie doesn’t venture beyond its own site — when you navigate away from the site, the cookie doesn’t follow you. 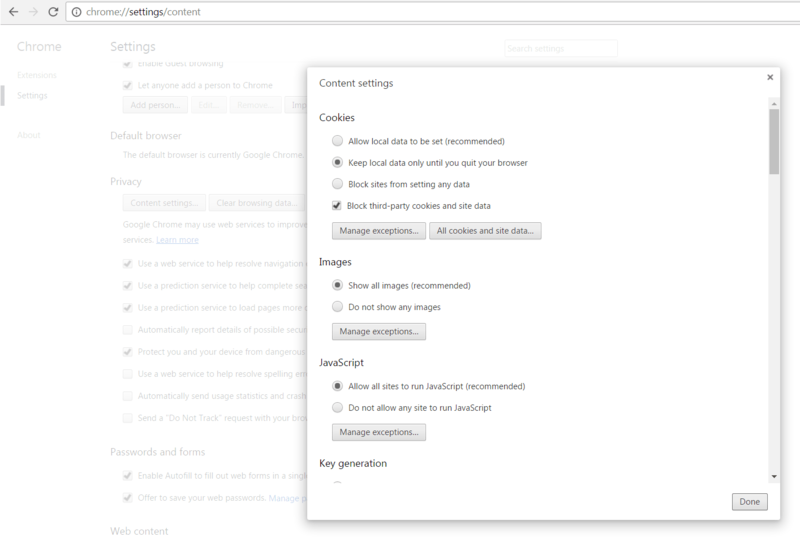 And a first-party cookie is sufficient to remember your site preferences and keep you permanently logged in, in most cases. Third-party cookies are not limited in that way. A third party might be an advertiser, for example, that places ads on several sites you visit. It knows you were at Amazon.com shopping for, let’s say a new laptop. Then, when you go to another website that advertiser serves, say a newspaper’s site, you’ll see an ad for the very laptop you were just looking at on Amazon. Or you’ll see what your spouse last shopped for at Amazon. Or your spouse will knock you off your computer to check Facebook and see an ad for what you were just shopping for, right before his birthday. OK, those are some mildly annoying aspects of third-party cookies — but let’s not forget that the information doesn’t simply go away but accumulates to form a comprehensive picture of you to entities that profit from it and have no responsibility to look out for your well-being. Another useful distinction is session versus persistent cookies. Session cookies keep track of the user when, for example, they navigate around a website. Set a site to display in English and as you click around, other pages on the site will also appear in English. Come back tomorrow and you may have to set that preference again. When you close your browser, session cookies are deleted. Persistent cookies live on your computer, and they stay there until they expire or you delete them. There’s a lot more to cookies, but the most important thing you need to know is how to control them. You can manage cookies from within your browser’s settings. In this case, controlling means deleting. You can delete Web cookies manually from time to time, through your browser’s History interface, or set your browser to manage cookies automatically. Click to skip to instructions for Google Chrome, Mozilla Firefox, and Microsoft Edge or Internet Explorer. Click on the menu drop-down in the upper right corner and select Settings → Show advanced settings… → Content settings. In the Cookies section, choose Keep local data only until you quit your browser. Tick the box marked Block third-party cookies and site data. Click on the menu drop-down in the upper right corner and select Options. Choose Privacy in the pane at the left. Under History, select Use custom settings for history from the drop-down menu, and then choose Never by Accept third-party cookies. Set Keep until to I close Firefox. In the Privacy tab, click Advanced. Check the box marked Override automatic cookie handling. 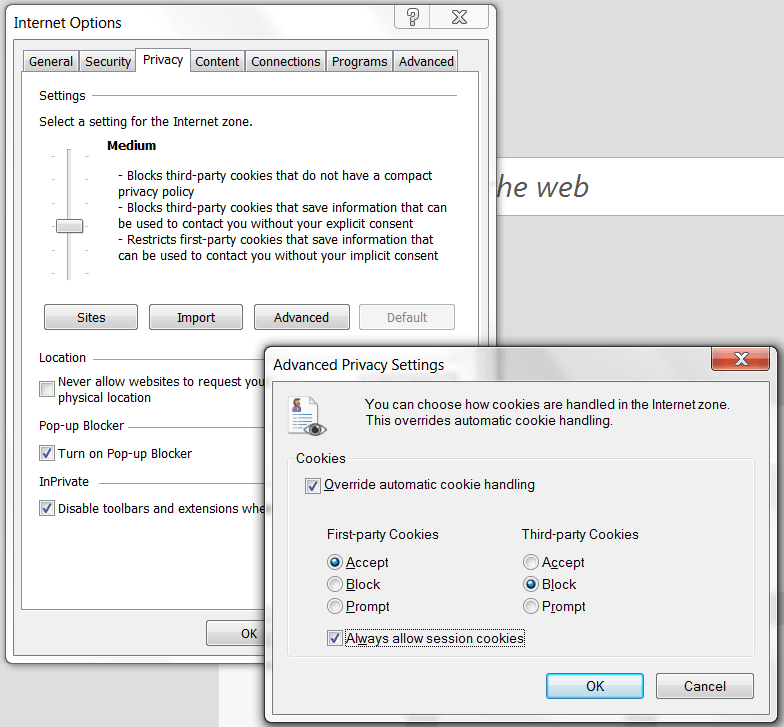 Choose Block for third-party cookies and tick the box for Always allow session cookies. Click the menu drop-down in the upper right corner and choose Settings. Select Cookies and saved website data, as well as any other data you want to clear, and click Clear. Click the left-pointing arrows at the top of the window to go back to the main Settings dialog. Scroll down to the choices for cookies and choose Block only third-party cookies. One thing we should point out: When you clear your Web cookies, you will effectively undo any “remember me” boxes you may have checked — including those saving logins on sites with two-factor authentication set up. That’s the price of privacy.